Welcome to WeLoveCamaros.com, your internet source for what's cool and what's new from Camaro. Whether you're a first time Camaro owner, alumni, or just considering the joys of owning a Camaro, this site is dedicated to you. I hope you find it interesting and informative. 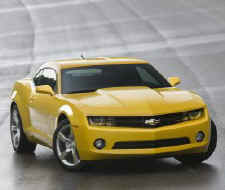 DETROIT, MI – Chevrolet today announced pricing for the all-new, 2010 Camaro. It starts at $22,995 MSRP for the V-6-powered LS model, and $30,995 for the V-8-powered Camaro SS (all prices include $750 destination charge). Customer ordering opened on Oct. 13, with production scheduled to start in the first quarter of 2009. “The wait is almost over,” said Ed Peper, GM North America vice president, Chevrolet. 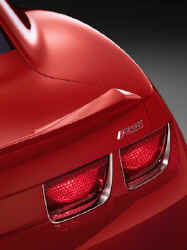 “The return of the Camaro gives sports car enthusiasts a reason to rejoice. It’s a 21 st century sports car with a distinctly American legacy. DETROIT, MI – Chevrolet introduced the production 2010 Camaro today. It is a heritage-inspired sports car for the 21 st century, combining great looks and performance; advanced technology and surprising efficiency – including 26-mpg estimated highway fuel economy. Sales begin in the first quarter of 2009. This website is not affiliated in any way with Chevrolet or GM, nor any of it's subsidiaries or with any other commercial entity that may be listed within. This is an enthusiast site for those who enjoy Camaro Automobiles and is for informational and enjoyment purposes only. Camaro and all logos and names are registered trademarks of Chevrolet and GM.